While the Supreme Court is often what springs to mind when Americans think about our judicial system, the reality is that most federal cases never make it to the high court. 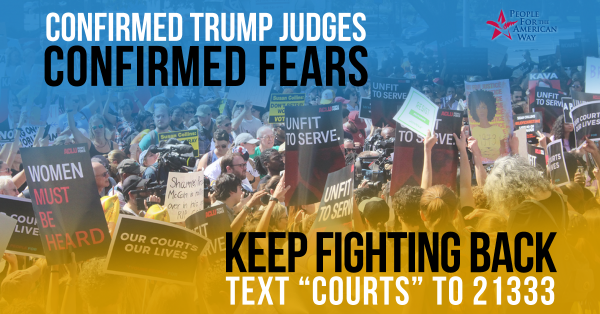 The vast majority are decided by district courts (where trials happen) or circuit courts (where appeals happen), making it critical that we confirm fair-minded lower court judges who understand the effects that their decisions have on the lives of real Americans. This is especially important given that such judges are confirmed for lifetime appointments. Progressive activists have to stand ready to protect our lower courts and advocate for judges who respect the values of justice and equality for all people. If they succeed, it would be nothing short of a disaster for the rights of all Americans. Appellate courts resolve tens of thousands of court cases each year, often serving as the final word on issues like voting rights, environmental protections, LGBTQ rights, job discrimination, workers’ rights, and reproductive rights. Filling the country’s appeals courts with right-wing judges would put our core liberties in jeopardy—for a generation or longer. There is a little-known but important tool at senators’ disposal called “blue slips” that help prevent ideological judges on our courts. In order to ensure that senators have a real say on judicial nominees, every senator—from both parties—has veto power over their state’s judges in the form of a century-old blue slip tradition. 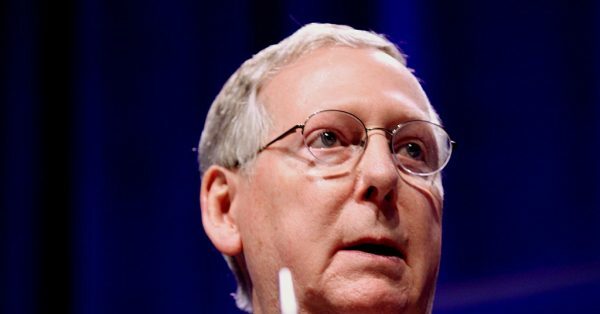 Blue slips are simply pieces of paper that a senator turns in to signal whether she or he has concerns about the Senate moving forward in considering the nominee. If the president has nominated someone who is too extreme, or if the senator simply needs more time to review the nominee’s record, the senator can stop the process by withholding their blue slip. Since one senator can single-handedly prevent an extreme judge from being confirmed, this is one of the most important forms of power that we have right now—and an issue that activists should be raising with their own senators. The number of cases circuit courts resolve each year, compared to roughly 80 for the Supreme Court. The number of Obama’s nominees confirmed over the objection of home state senators.